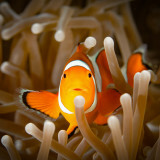 Help me to support the Orange Clownfish and I will rise to the challenge! This of course will be vegetarian and will involve spice (except for Phil's share). Photo's of course will be provided! Always wanted to do it, but have been too scared to try! I am thinking very, very red. Will provide photos of the progress and end result! Voting has closed. The winning challenge is Dye my hair bright red. Amanda is raising money to support the Orange Clownfish. Voting is now closed. Amanda's pledge is closed for voting, but you can still support Amanda and the Orange Clownfish by making a donation using the 'Make a Donation' button above. Amanda has pledged to complete the most popular challenge — Dye my hair bright red. Help Amanda raise money for the Orange Clownfish. Support Amanda Alldrick by donating directly to the Orange Clownfish.